Among those species are bees. Bees provide economic opportunity for farmers. Beekeepers can sell the honey and use the beeswax to make value-added products like candles or lotions. Bees are not only important for their honey production, but they are also critical for the environment in their role as pollinators. Farmers benefit from bees’ pollinator role in the ecosystem, as bees pollinate 70% of crop species that feed 90% of the world’s population. Many plants—including food crops—would not survive without bees’ pollination role in the ecosystem. Bees are vital for healthy agricultural systems. 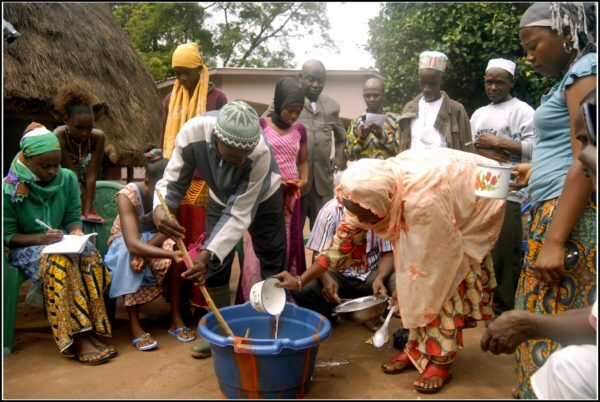 In Guinea, F2F trained the Beekeepers Federation’s trainers, who replicated the training to 32 groups (827 producers). Techniques widely shared include natural methods to keep ants away, making beeswax products and better hive management. 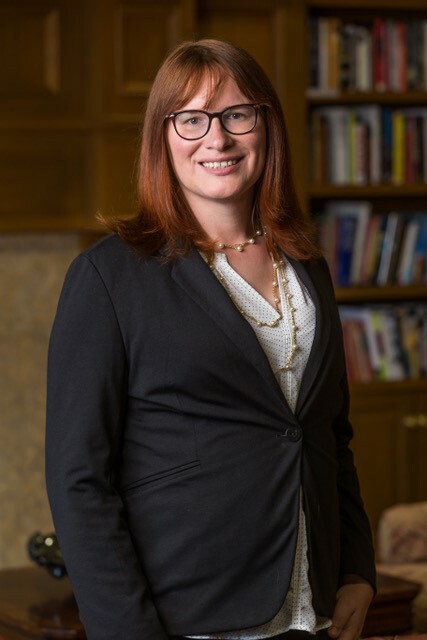 With these technical improvements, in addition to organizational development support, the Federation was able to negotiate a new contract with pre-payment. Sales doubled in just two years. 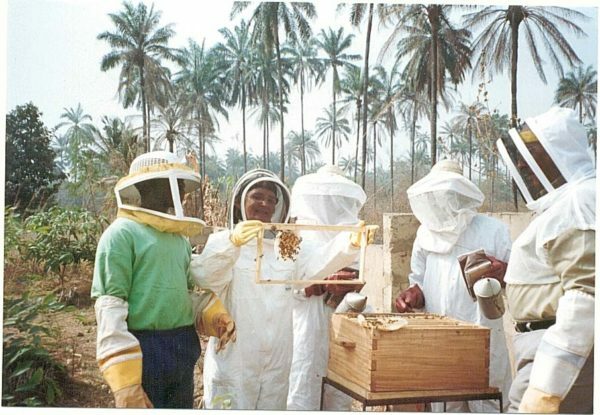 In Senegal, the International Center for Practical Training in Mboro-Beekeeping Division replicated training in improved beekeeping among 8,427 beekeeping community members. The training included specific modules on parasite and disease management and harvesting and processing of by-products. 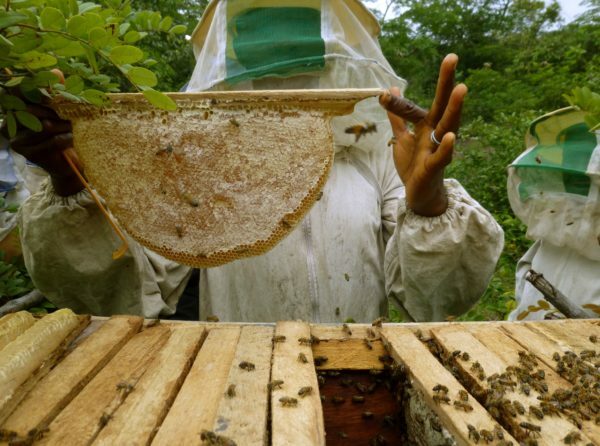 The Center’s successful application of improved beekeeping has led to a partnership with Grande Cote Operation-Zircon, whereby the Center will train GCOZ’s staff. 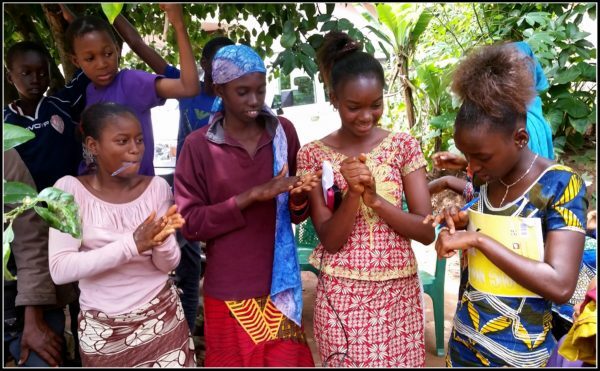 F2F trained the Honey Producers Microenterprise of Ley Miro, Guinea, in topics related to governance and technical subjects related to the quality of honey and production of byproducts from beeswax. 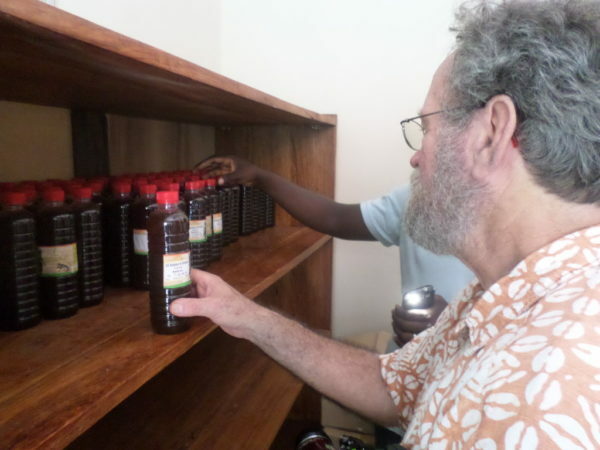 The organization was able to roll out five new or improved products, including soaps and clean honey, to the market. 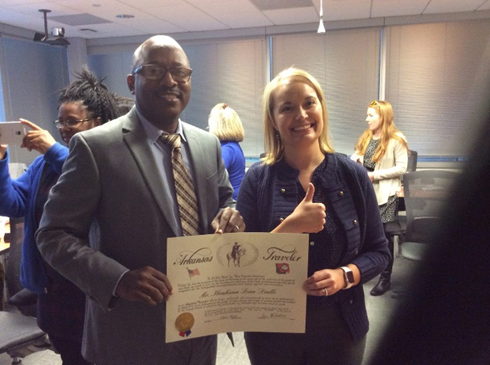 The members were also able to replicate the training to two additional organizations. All these activities support bee populations and amplify the importance of a bee’s role in our ecosystem. As a volunteer, what can you do to support bee populations and Mother Earth? Whether you are providing technical assistance to farmers in the field or designing an agricultural curriculum with a university, discourage the use of pesticides. The widespread use of pesticides destroys bee habitats and kills bees. Instead, encourage natural integrated pest management practice and multi-cropping practices that diversify and increase bee habitats. National Resources Defense Council. “Bee Facts.” 2011. 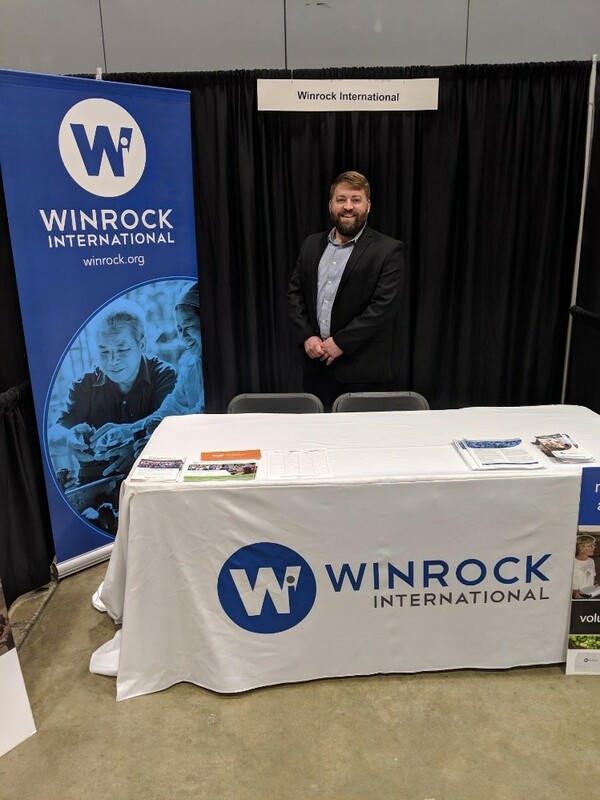 Ibro Diallo started working at Winrock International in October 2013. 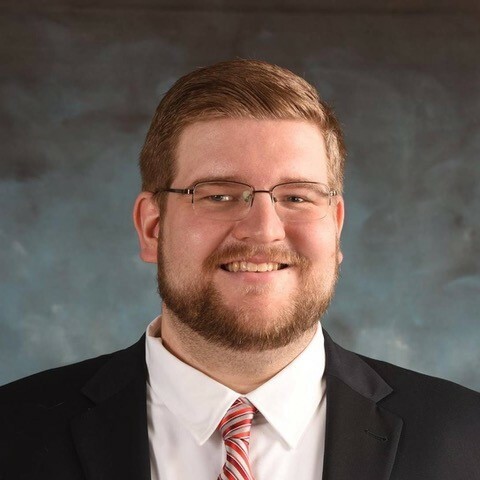 He has a master’s degree in communication and journalism and is currently finishing up a master’s in Environmental Science. 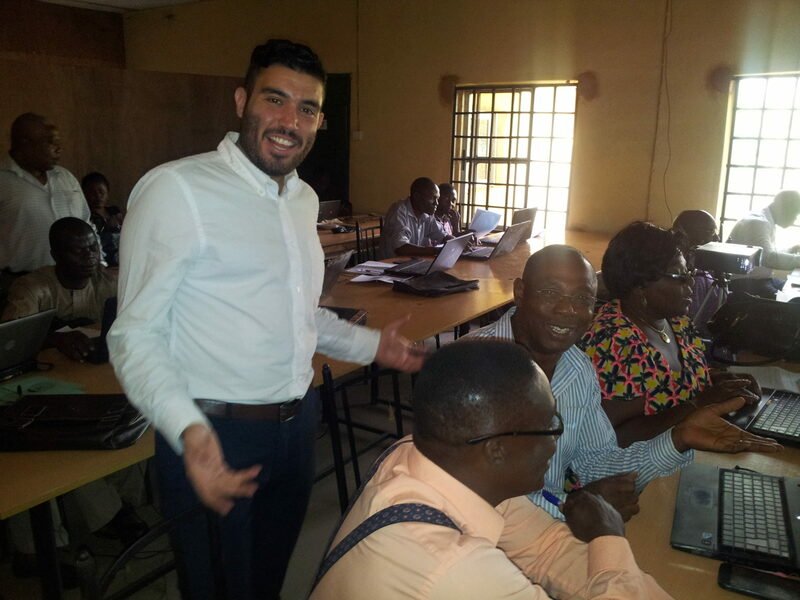 Before coming to work with F2F, Ibro worked 10 years for several NGOs including CLUSA, Aide et Action, IFES, and RTI. 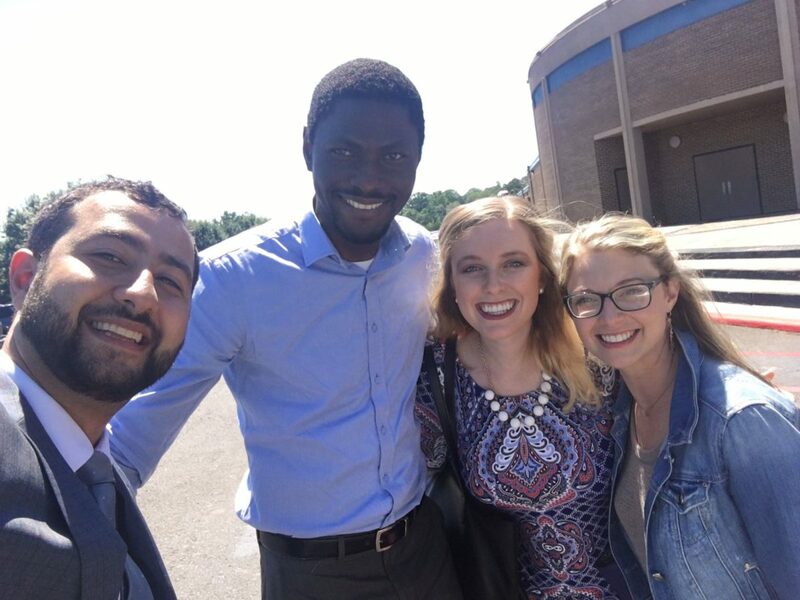 On the weekends, Ibro teaches communication for development at the Institute of Information and Communication Science. This magnificent program, Farmer-to-Farmer continuously offers me opportunities to learn, improve my skills and meet new people. 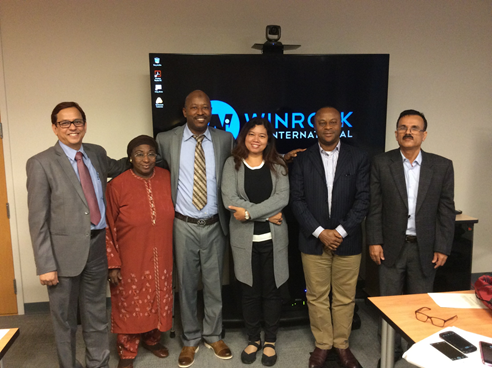 My Colleagues at Winrock have strengthened me in the teamwork and team management. 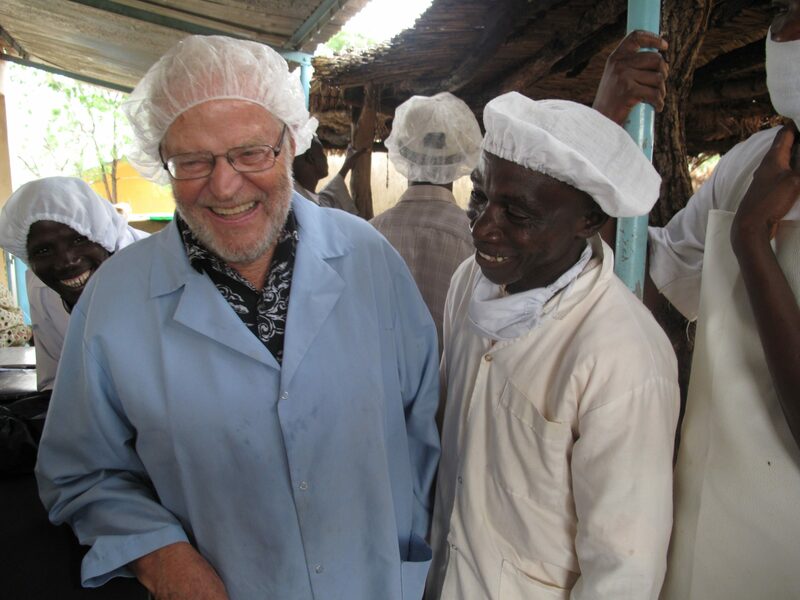 Their examples of leadership and management as supervisors, allowed me to grow into managing my team in order to achieve Farmer-to-Farmer program objectives. They never behaved as superiors but rather as colleagues and with an attitude of winning together. Pictured above is my great Director DeAnn and my fellow Country Directors from F2F for AET and Asia. 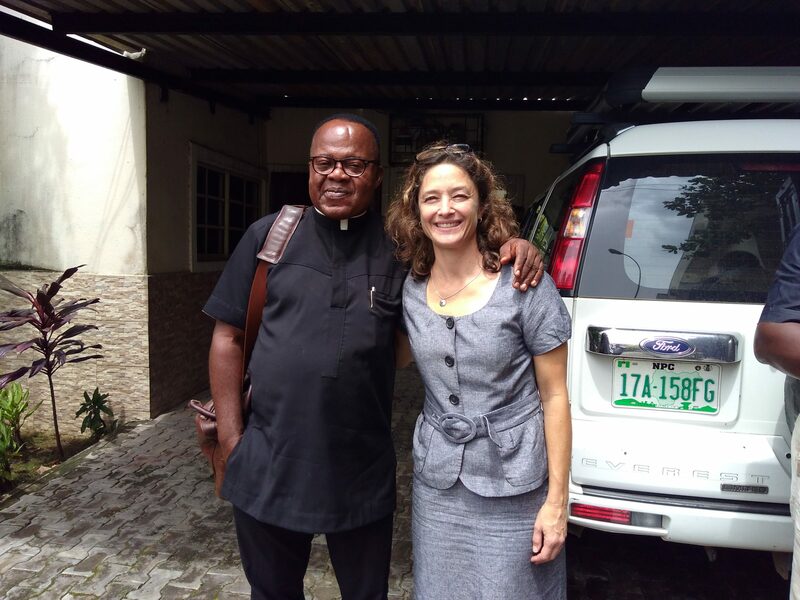 Mrs. Edie Shannon, as an experienced and talented volunteer, agreed to come twice to Guinea, in 2014 and 2015, during the period of the Ebola outbreak while our neighbors were closing their borders. Edie did a great job with the Farmers Union of Soumbalako Farmers Associations of Mamou, on organizational development. 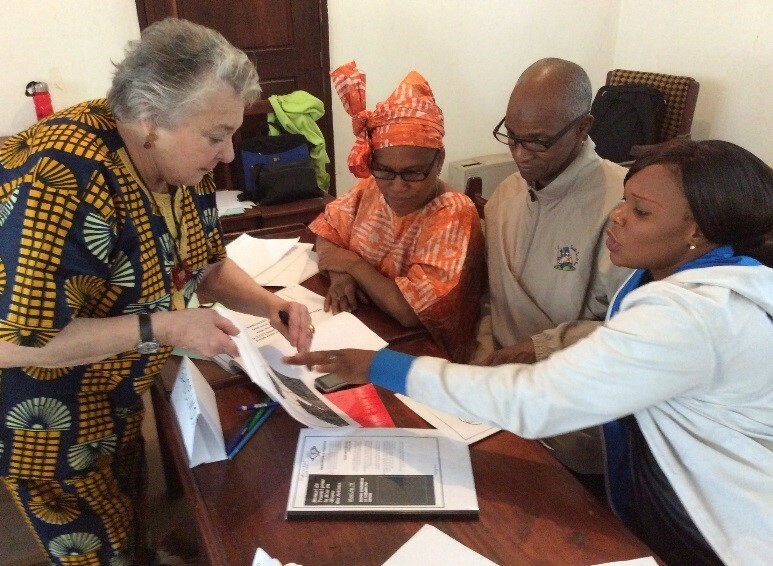 She also helped to set up the Guinean Agriculture Institutes Network (GAIN), the unique space of exchange of actors of the agricultural training in Guinea to strengthen their management capacity. She even visited my village, where she planted some fruit trees. 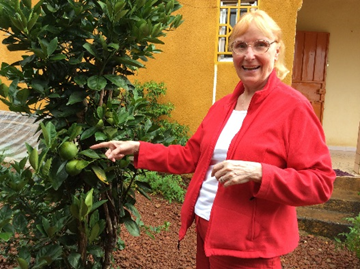 Mrs. Anaïs Troadec, or as she is known in Guinea: Grandmother Anais, has a limitless passion for her job as a volunteer. 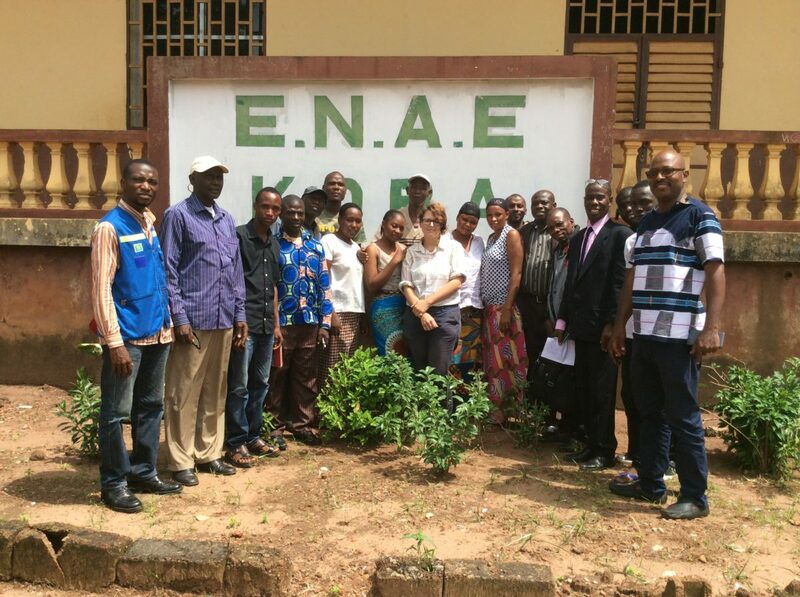 She helped Institutes of Agronomic Education of Guinea (ENAEs, ISAV-F and ISSMV-Dalaba) to take head-on, the issue of gender in the country educational system. On two occasions she facilitated conferences and debates with students of the Institute of Veterinary & Medical Science of Dalaba on the issue of gender and sexual harassment. These conferences helped to liberate speech at the girl’s level on issues of sexual harassment. The Institute’s management has set up a Gender Committee to raise awareness and combat sexual harassment within the campus, support the girls by allowing make-up courses and organizing cultural and sports activities. Anais’s assignments are practical and adapted to the context and African realities. 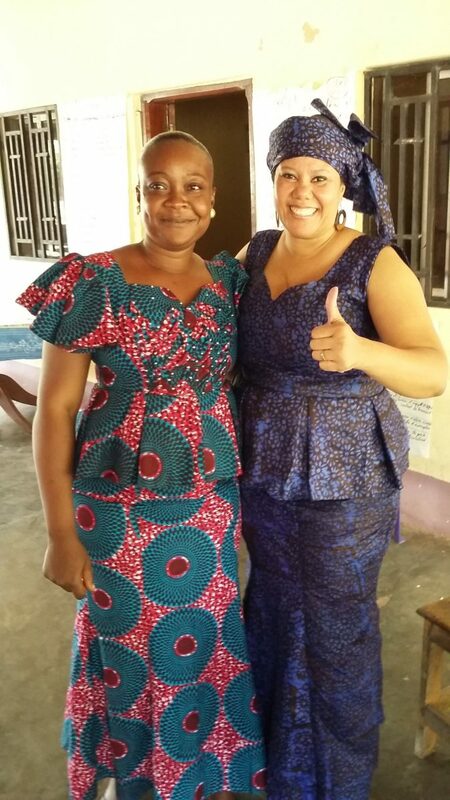 Anaïs has developed friendships with my field office staff and the team of F2F in Mali. 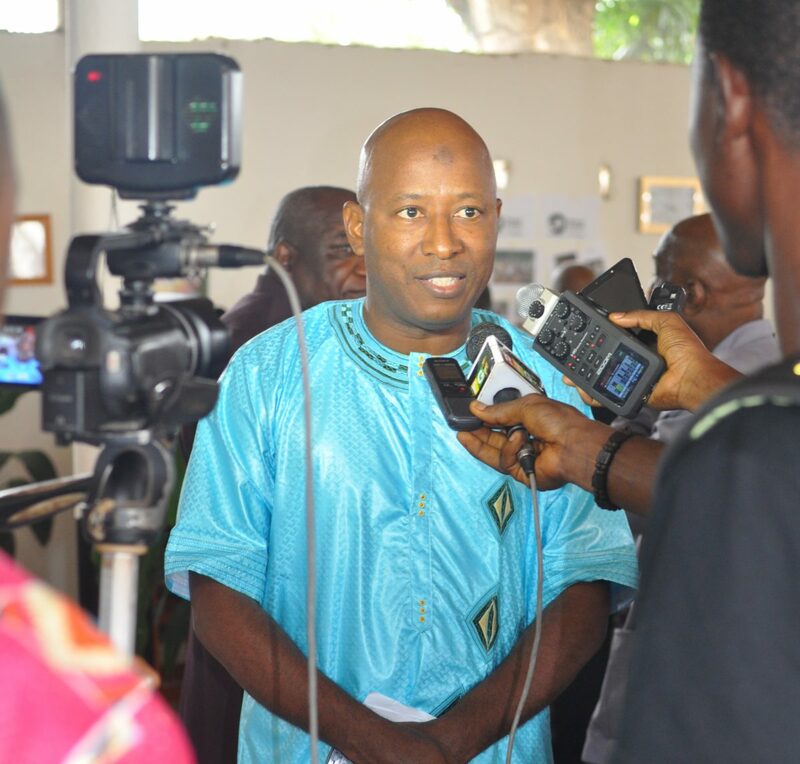 We even celebrated her 72nd anniversary in Bamako in December 2017. 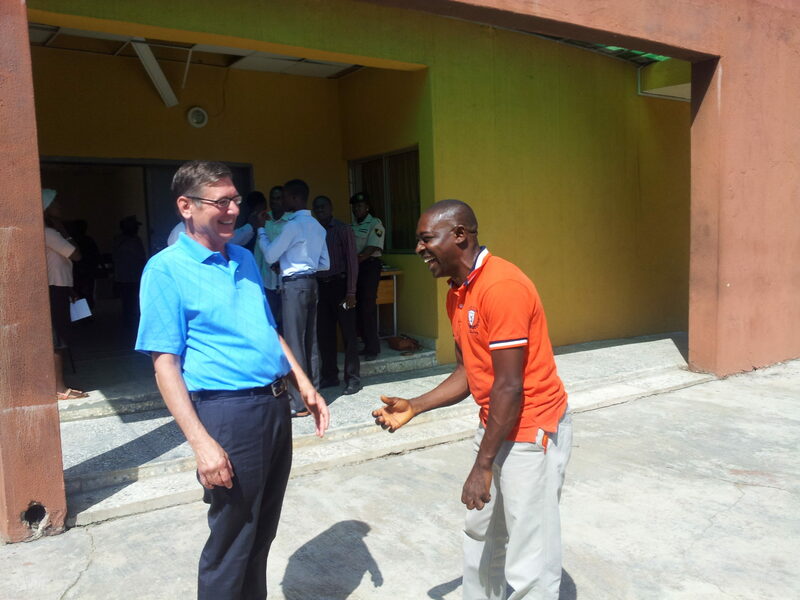 Mr. Steven Kovach, Prior his retirement, Steven served as Agricultural Water Advisor with USAID. 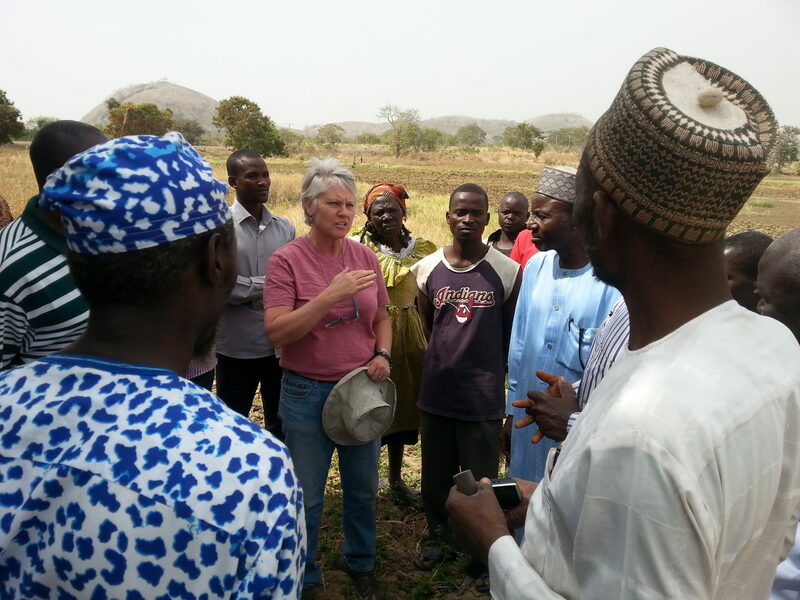 With his more than 30 years of experience in irrigation and water use for agriculture in the US and abroad, Steven, completed 2 assignments on drip irrigation and water management with, Farmers Federation of Upper Guinea (FUMA) and UGAS. 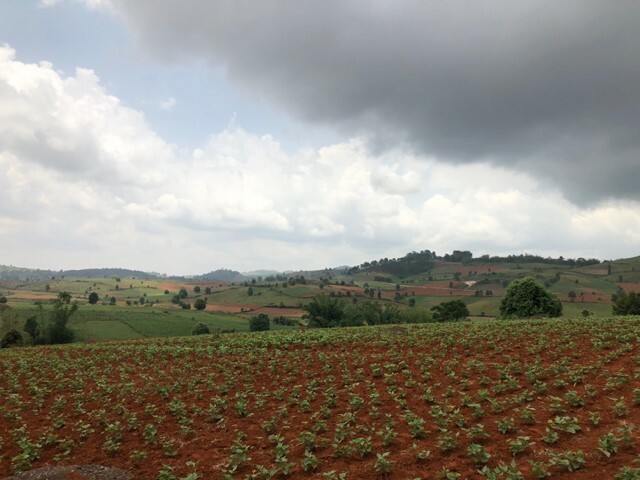 Steven was able to connect with the trainees and easily transfer drip irrigation technology to farmers that have never witnessed this type of water management technology before. To many it was miracle-like to see drips of water coming from the hoses. 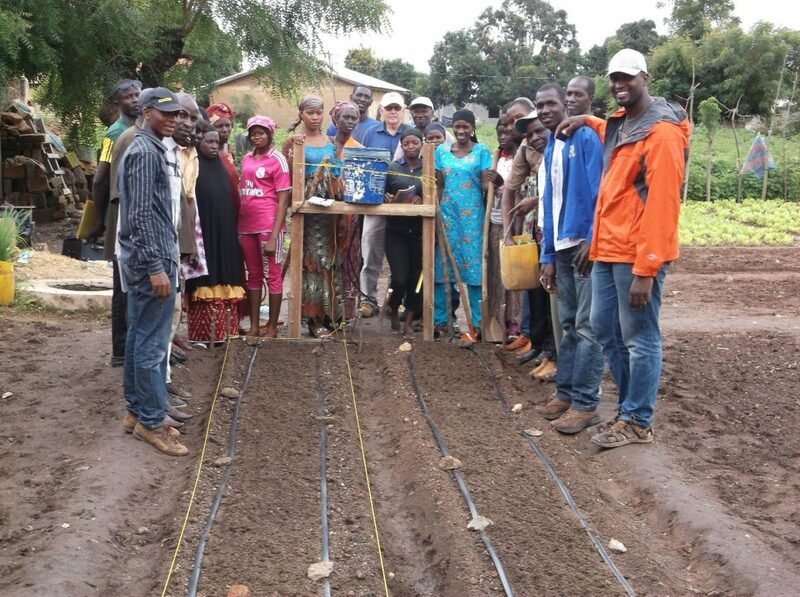 Most students and professors have learned about the theory of drip irrigation system in a classroom but it was the first time that anyone has actually had hands-on training and participated in the assembly and set up of a drip irrigation system. 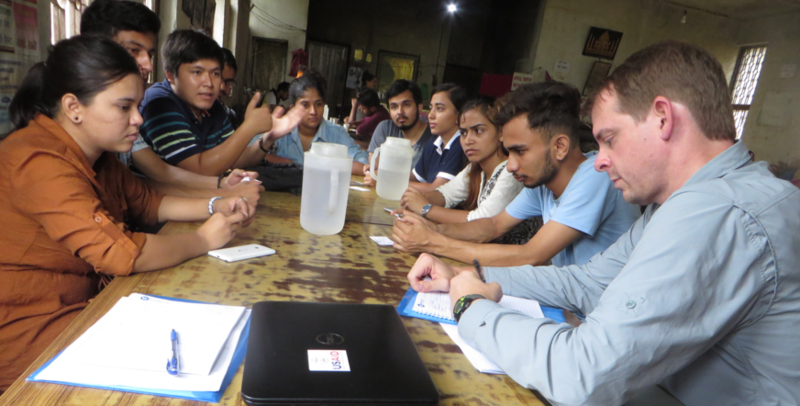 After, his assignments, Steven has continued to follow-up with his trainees. 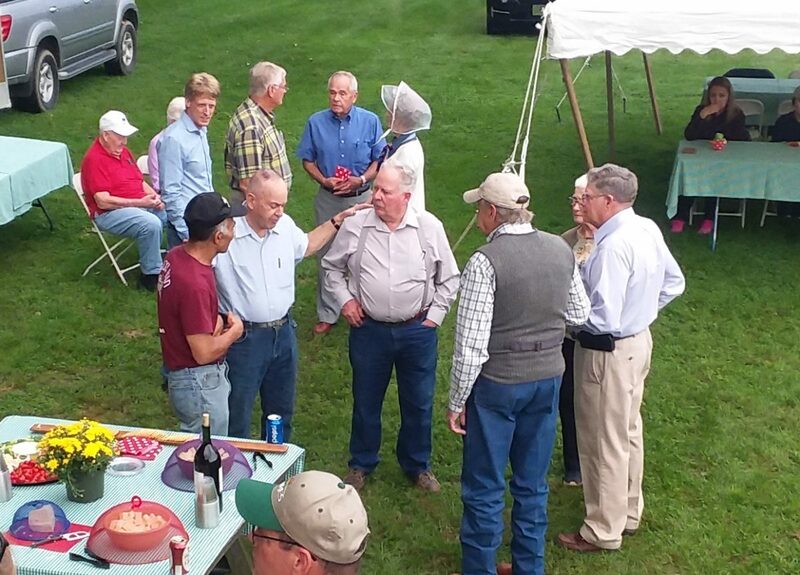 The couple, Mary and Bob Albrecht, these dedicated volunteers were remarkable. 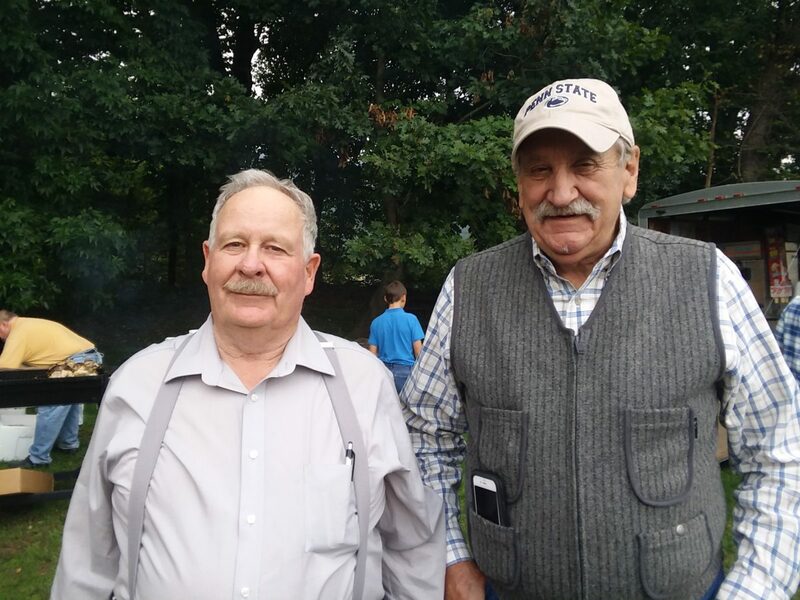 Mary and Bob demonstrated strong knowledge in poultry enterprise creation and management. They have a good approach in the training of trainers. They were very creative and adapt quickly. They developed a manual that would assist trainers to assist farmers in their localities, they provided information on business planning and poultry nutrition. 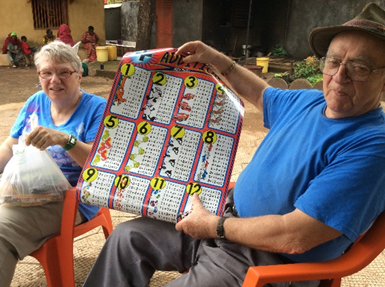 Though sadly Bob passed away in 2017, Mrs. Mary Albrecht has continued her dedication to volunteering in Guinea, returning for other assignments. I always said that I have been so lucky with the American people, I have studied with their money because my father worked for US Embassy. 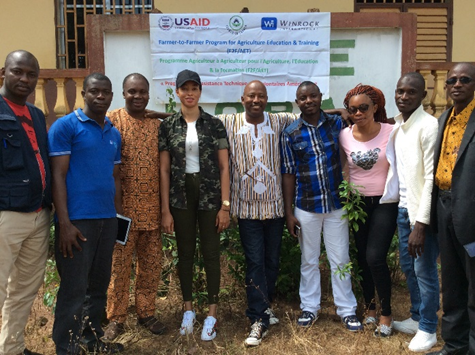 Since 1997, I have worked for USAID funded projects and I will continue to work for this nice Farmer-to-Farmer program to mobilize huge resource and to deepen my learning experience and put it at the service of my nice country, Guinea. 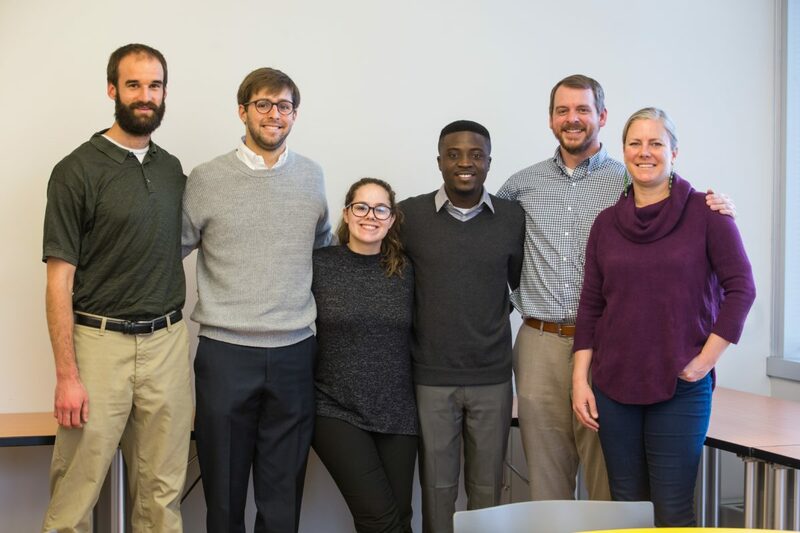 With the motivation and commitment of my team, we will achieve the new Farmer-to-Farmer west Africa Program goals.